On Wednesday October 3rd Lakes Area Police Officer Delmont and Officer Slagter were called to a residence in Lindstrom on Sylvan AVE for a possible heart attack. Shortly after arriving and starting CPR on the victim Officers utilized their Automatic External Defibrillator or (AED). An AED administers an electric shock to a victim’s heart, when needed, to re-establish a heart beat. In this case the AED advised that a shock was needed and the victim did leave the scene breathing and with a heart beat. All Lakes Area Police Officers are certified first responders. The first responder training allows the officers to use the AED. “The first AED’s were donated by the State of Minnesota through a grant and it was one of those AED’s that was used in this situation” stated Chief Kevin Stenson. The Lakes Area Police Department partners with Fairview lakes Regional Medical to oversee their program and LAPD also works closely with Lakes Region EMS. 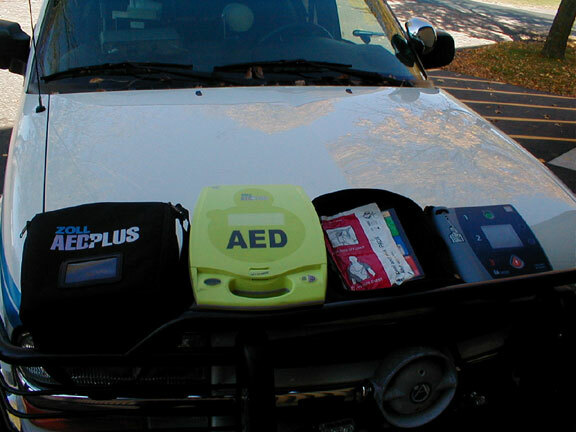 LAPD Officer Delmont stated “Lakes Region EMS has provided us with valuable training on an ongoing basis and has been a big supporter of the AED program county wide.” In fact Lakes Region EMS responded to the scene of the medical assist as did Lindstrom Fire Department. This is a great example of several departments working together. Lakes Area Police Department Officers carry AED’s the units cost between $1,700 and $2,700 each. Officer’s also carry some medical supplies and Oxygen in their squads.